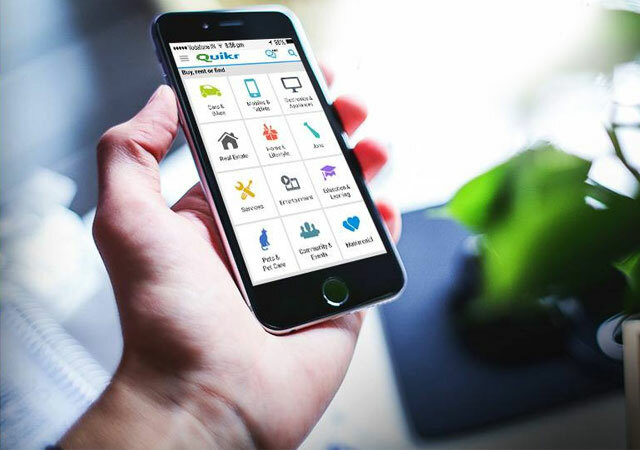 Online classifieds firm Quikr India Pvt Ltd has acquired Indian Realty Exchange (IRX), a mobile-first aggregator of real estate agents, for an undisclosed amount. In a press statement, Quikr said that the acquisition would strengthen its online realty play and augment QuikrHomes, the company’s recently launched real estate vertical. Quikr claims that with 200,000 transactions, its real estate business has doubled in the last three years. Founded earlier this year by Vikram Dhawan and Karan Jindal, IRX connects agents with end-users and other agents in real time. It’s a chat platform that enables real time tagging of agents with projects and locations. QuikrHomes currently reaches out to customers from over 1000 cities, the company claims. Quikr has unveiled separate verticals for key segments such as real estate, cars, electronics, jobs and education. QuikrHomes was launched in early September followed by QuikrJobs later that month. Its other verticals are QuikrC2C, QuikrCars and QuikrServices. Quikr has been on the prowl for an online realty firm that would be strategic fit in its ambitious property listings business drive. After raising $150 million (over Rs 900 crore) eight months ago, Quikr initiated talks with a number of online property listing and transaction websites. Quikr was in talks for a deal with both CommonFloor.com and IndiaProperty over the last three months. Quikr was also in discussions to acquire Housing.com. However, the talks did not fructify. The Indian online realty market is dominated by Info Edge’s 99acres and Times group-owned MagicBricks. PropTiger, CommonFloor, Housing.com and IndiaProperty are among other major players. Industry watchers say several once high-flying real-estate startups – faced with deep-pocketed global players backing their rivals – are considering mergers at the behest of their investors. Last month, property search aggregator Square Yards acquired Oryden TechLabs, an Ahmedabad-based design and animation studio, for an undisclosed amount. Quikr recently invested an undisclosed amount in WoNoBo.com, which runs a hyper-local search engine that provides 360-degree street views. Quikr raised $150 million (over Rs 900 crore) in April from Tiger Global, Swedish fund Kinnevik and hedge fund Steadview Capital Management. The company, whose other backers include Omidyar Network, Matrix Partners, Nokia Growth Partners, Warburg Pincus, Norwest Ventures, and eBay Inc, has so far raised $350 million, according to data from VCCEdge. News Corp, which owns 30 per cent stake in PropTiger, had acquired the parent of this website in March.